Aprameya Swamy Temple, situated 60 km from Bangalore, is an ancient temple on the Mysore - Bangalore Highway. 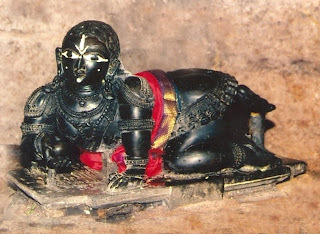 It is believed that Lord Ram stayed here for many years and worshipped Lord Aprameya. Hence the presiding deity is also known as Sriramaprameya. The idol of Sriramaprameya is represented holding the conch and disc in two upper arms and club and lotus in the two lower arms in the Abhayahastam mudra. The temple also enshrines Goddess Aravindavalli, the consort of Lord Aprameya, Lord Navaneeta Krishna and Alwars of Vaishnavism. The temple of Lord Navaneeta Krishna, a cute little Krishna, crawling, with a butter ball in his right hand is the main attraction. Built in the Dravidian architectural style, the temple stands on sand without any solid basement. The side walls of the Rajagopuram are decorated with beautiful sculptures depicting the ten incarnations of Lord Vishnu. 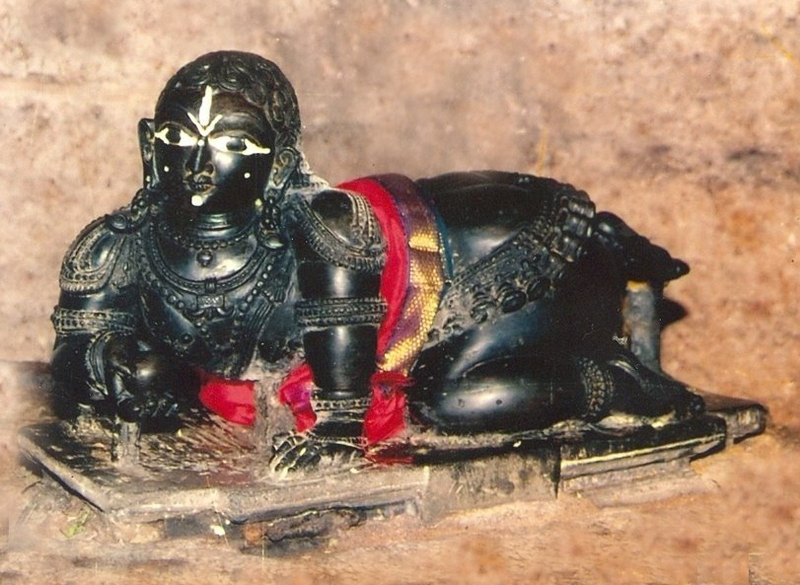 The Mukha Mantapam houses the copper idols of Garuda, Sesha, Gaja, Ashva, Simha, Chandra Prabha, Samarabhoopala, Hamsa, Puppet Ashva and Hanuman. Punya Tirthams in and around the temple are Shambhu Tirtham, Vishnu Tirtham, Brahma Tirtham and the Nirmala River. The annual festival, Brahmotsavam, held during the month of April-May to celebrate the birth of the Lord, draws pilgrims from far off places. The Sri Ranganthaswamy temple in Srirangapatna, in the Indian state of Karnataka, is a temple dedicated to the Hindu God Ranganatha, a manifestation of Vishnu and is one of the Pancharanga Kshetrams. The town of Srirangapatna, which derives its name from the temple, is located on an island in the river Kaveri. The temple is one of a set of three major temples that are built on three different islands on the Kaveri and are dedicated to lord Ranganatha. 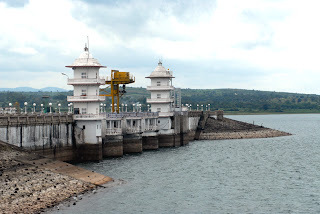 ﻿The reservoir is located in a place called Birwal (locally called Biral or Beeralu) in Chamarajnagar district of Southern part of Karnataka - India. 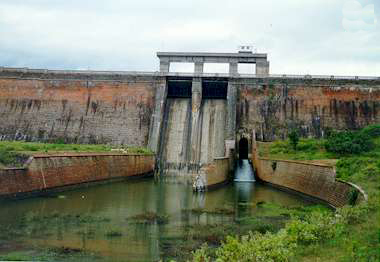 This reservoir has been constructed during 1956-57 and completed during 1958. The dam work started during February-1947 and the channel work started during December-1951. The total cost of the project was INR 310.75 Lakhs. The proposed total Achkat was 20,000 Acres. The length of main irrigation channel is 55miles with maximum water carrying capacity of 666 Cusecs. The height of the dam above ground level is 90 feet. It has got a total catchment area of 380Sq miles. Surrounding the reservoir the human activities are very much limited except for the movement of nearby villagers. This place makes an interesting picnic spot at back water catchment area. It has got no connected river for water. The water collected in the western ghats is stored and used for irrigation purpose. The catchment area extends to hill region which also touches the Kerala border. This is an excellent place for wild life and bird photographers. 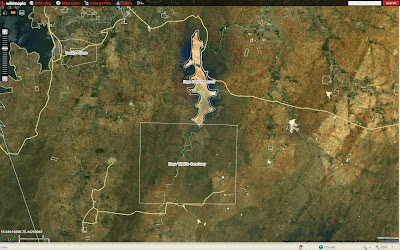 There is one more major reservoir called Kabini (on the river Kabini) which is very nearby. The entire land meets the forest area constituting Bandipur (with Project Tiger), Nagarhole and Madhumalai. Only bus transportation is available to Nugu. Nearest railway station is Nanjangud. Tourists travelling from Bangalore, have to reach Mysore and proceed towards Nanjangud which is at South side. Nanjangud is only 22Kms from Mysore, trains available upto Nanjangud. From Nanjangud, continue journey towards Hura, Hullahalli which are at West side to Nanjangud. Take the help of local people at Nanjangud to travel towards Hura, Hullahalli. Public transport available but the frequency is very less. The final 4-5 Kms is through hill region where movement of elephants is very frequent on the roads. Local people make their return to home by 4.00 to 4.30 pm as it is dangerous to stay outside because of these elephants. The distance between Nanjangud and Nugu is nearly 45Kms. 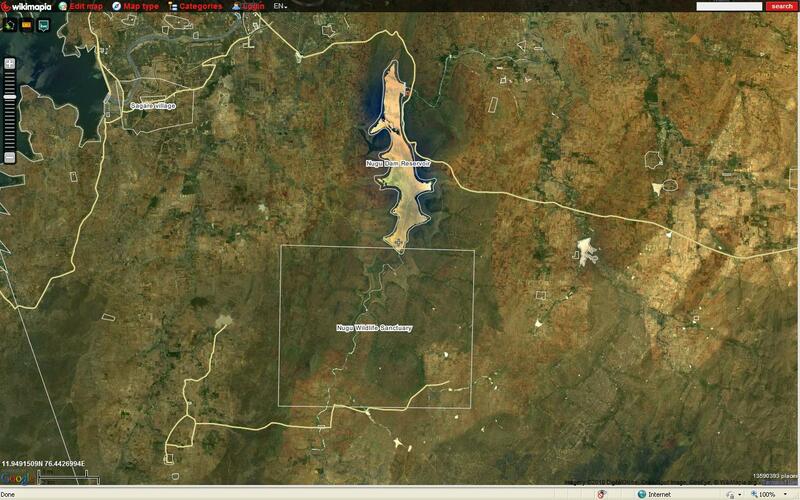 After reaching the dam, take left turn to proceed near the back water catchment area. This place is beautiful for picnic lovers and great for bird photographers. There is one more route available from Mysore to Nugu. Take the road directly to H.D.Kote (Heggada Devana Kote) from Mysore. Take deviation towards Kabini at Hand post available after 50Kms from Mysore. Distance between Kabini and Mysore is 60Kms. After seeing Kabini, proceed towards Sargur through Beechana halli (Kabini is also called Beechana halli) which is only 7 Kms. From Sargur take right turn towards Nugu via Chikkamma Devi temple (beside the hill). People travelling from Tamilnadu (Ooty and other places) have to reach Gundlupet. Continue in the Mysore road until Begur and take left turn. Proceed towards Santhe Sargur road. Birwal is just 5Kms before reaching Sargur. The distance from Begur to Nugu is 40Kms. On the way one can enjoy the scenic beauty of the place in this route. No food is available at this place. There are no accomodation available either to stay. One can plan to stay at resorts available near Kabini reservoir by booking those in advance. Kabini Dam, constructed in 1974 across Kabini River, is located near Beechanahalli village of Mysore District. This dam is 2284 ft long and 58 m in height. The catchment area is around 2141 sq km. The dam is an ideal place for visiting. The dam is easily accessible from Heggadadevanakote. Mysore Junction Railway Station is the nearest railhead. thanks fro this informative post..
Can u plz inform me how to reach KENGAL ANJANEYA SWAMY TEMPLE from CHANNAPATNA RAILWAY STATION ?? Kingssanctuary providing good services like Nagarhole,Resorts in Nagarhole, Resorts around Bangalore and Resorts near kabini.